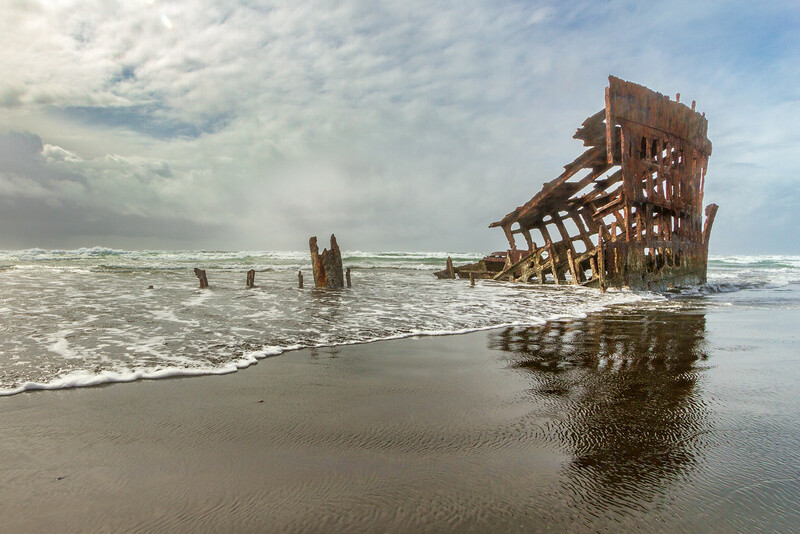 Skeleton of the Peter Iredale on the Coast of Oregon, USA. The 275 foot long Liverpool sailing ship, wrecked at the mouth of the Columbia River in 1906. The popular tourist attraction is located in Fort Stevens State Park in Oregon.